MRI (Magnetic resonance imaging) is a common procedure used to find out different ailments in the body. MRI Miami is a powerful test which helps doctors in analyzing if a tumor is cancerous or not. Strong magnetic field and radio waves can be used to create detailed images of the organs and tissues within the body. MRI is a painless procedure in which a person lies down on a table and table goes to a tunnel-shaped machine. The machine is called an MRI scanner and it doesn’t use any harmful radiations. What are the uses of an MRI SCAN? MRI scan is used to take pictures of internal organs of the body; it helps in identifying various conditions-from torn ligaments to cancers. MRI scans are used to check various defects in the brain and the spinal cord. MRI is a powerful tool in the screening of breast cancer, and various other cancers are detected on an MRI scan. Whenever there are injuries of joints, doctors recommend MRI to evaluate the condition. Fibroids and endometriosis in women are best detected on an MRI. MRI helps evaluate liver problems. How do you prepare for an MRI exam? If you are claustrophobic, tell your doctor beforehand, you will be given medication to relax your nerves. If you are having a color contrast MRI, you will receive an injection of contrast liquid in the vein of your arm. You will be alone in the procedure room, the technician will observe you through a glass panel, and he will take the images on a computer screen. You might be provided with earplugs as an MRI machine makes loud noises. The procedure takes around one hour. You must let your doctor know if you are pregnant or are breastfeeding. Doctors don’t recommend contrast dye for pregnant women. Therefore, it is essential to discuss with your doctor beforehand. MRI scans are generally not advised in the first trimester. MRI scans are considered safe and have no side effects as such, but some people get headaches, nausea from contrast material. Claustrophobic people find it difficult to enter the MRI machine. MRI scans are extremely useful tools to find out various ailments in the body. At imaging center Miami patients are made to feel comfortable by the friendly staff. Magnetic resonance imaging (MRI) of the breast — or breast MRI — is a test done at MRI Miami, which is used to detect any abnormalities in the breast including breast cancer. A breast MRI may be done in combination with mammography or ultrasound. It is not a replacement for mammography. A mammogram uses X-rays to create images of the breast, while a breast MRI uses magnets and radio waves to produce 3-dimensional images of the breast tissue. MRI provides detailed pictures of the breast. It also provides clear images of parts that are hard to see clearly on an ultrasound or mammogram. A breast MRI usually is performed after a biopsy comes out positive for cancer and your doctor needs more information about the extent of the disease. When you arrive for your appointment, you will be provided with a gown and a robe. You will be asked to remove jewelry and any metal you might be wearing. You will be asked to lie down on your stomach on a narrow table, your breasts fit into a hollow depression in the table, which contains coils that detect magnetic signals from the MRI machine. The table slides into a large tunnel-like tube. If you have claustrophobia, tell your doctor in advance, you will be given a mild sedative to ease your claustrophobia. In MRI test you won’t feel the magnetic field or radio waves, but you will hear loud thumping sounds coming from inside the machine. During the test, the technologist monitors you from another room, and you will be asked to lie as still as possible. Contrast-enhanced MRI requires a special dye (contrast), which you will get through a vein (IV) in your hand or forearm. The dye helps the radiologist see some areas more clearly. The technologist will take images before and after the dye which takes 30 minutes to an hour. Schedule the test between 7 to 14 days of your menstrual cycle. The first day of your period is considered as day 1. Tell your doctor if you have any kidney problems. The dye used for the test can cause serious problems in kidney patients. Pregnant ladies are not advised for breast MRI. Tell your doctor if you are or might be pregnant. Tell your doctor if you use a pacemaker or have any artificial joints. Not all imaging centers have equipment specially designed for breast MRI, go for MRI Miami which is well equipped with the equipment and expert radiologists. If you are suffering from certain brain conditions, your doctor may suggest you for MRI of the head portion. Head MRI is a painless and non-invasive procedure that generates images of the brain and brain stem. These images are quite detailed and help doctors detect the underlying cause of the abnormal conditions occurring in the body. MRI Miami creates pictures of the brain with the help of magnetic field and radio waves. This scan is different from a CT scan and x-ray as it does not use radiation to generate the images. Pictures are created in 3-D form as this scan combines different images to create the one detailed image. The internal structures of the brain are detected carefully thus it is a more effective procedure than other scans as it can even see through the small sections of the brain such as brain stem and pituitary gland. Sometimes a dye or a contrast agent is given to the patient that helps in better visualization of some brain abnormalities. There are certain brain conditions, which must be detected before they turn into any serious disease. These abnormal conditions may include tumors, cysts, infections, hormonal disorders, brain stroke, spinal cord injuries, blood vessel issues, etc. The doctor may also recommend head MRI if you are suffering from symptoms such as weakness, seizures, severe headache, dizziness, behavioral changes, and blurred vision. MRI scan Miami can also detect whether you sustained any injury or harm from a stroke. Also, people who are supposed to undergo brain surgery can also go for functional MRI of the brain. This type of MRI is responsible to identify areas of the brain that control body movement and speech functions. Before undergoing an MRI scan, you must share certain things with your doctor such as if you have inner ear embeds, pacemakers, vascular stents, or artificial joints in your body. The medical staff in the MRI lab can also ask you if you have ever got injured with metal shrapnel. These things can affect the MRI scan so it is crucial that you must discuss such kind of conditions with your doctor. Pacemakers and implants can stop functioning properly due to the powerful magnetic field used in MRI scan. You may be asked to remove any kind of metal items from your body such as jewelry, watch, or sunglasses etc. As metals hinder the smooth process of taking images hence they are asked to remove before an MRI scan. In case you are claustrophobic, the radiologist may conduct open MRI Miami that can be tolerable for you. Due to the use of strong magnetic field in an MRI, certain health conditions stop you from getting the exam done. One should always tell your health condition to the technologist while scheduling an appointment for the MRI Miami beach. The radiology staff will tell, whether you can have the MRI exam or not in this condition and modify the test according to your specific condition. The strong magnetic field will pick up anything made of metal in your body, even those fibers in your clothing. If you’ve artificial heart valves or pacemakers, tell your technologist before MRI. Do tell your radiologist if you have any cochlear implants, hearing implants, metallic implants, shrapnel or bullet wounds in your body. Take care if there is any vascular stent or stent graft, as the strong magnetic field can harm your body. You should tell your doctor in case you have any metal crowns, dental implants or history of working with any kind of metal. In such scenarios, the doctor gives the best and safest way of treatment or amends the exam that fits your situation. The person undergoing the exam should leave all the accessories at home including purse or wallet having metal wires, coins, keys, and other metal objects should be either deposited at the counter before the exam or left at home. Even if you leave these metal items at home, your technician will ask you to remove your metal jewelry, watches and rings, outside of the exam room for safe commencement of the MRI at center for diagnostic imaging Miami. One should also avoid bringing hairpins, eyeglasses, belts or belt buckles, credit cards with magnetic strips, cell phones and any electronic gadgets to the diagnostic center. Why Metal Is Prohibited During The Exam? It is always recommended to pad the body parts to prevent any touching which may cause any damages. During an MRI Miami, if there is any skin-on-skin contact point, then a closed circuit is created which produces a thermal effect and causes second-degree burns in some cases. It is suggested to not wear any makeup during the exam as it contains some traces of metal. Metal is almost found in every mineral makeup items i.e. blush, eye shadows, foundation, lipstick and nail polish. It is advised to go for the appointment fresh-faced to be on the safer side. People having a tattoo should tell the radiologist before, as certain inks can interact with MRI to be careful about the risks involved. So it’s particularly vital to tell your radiologist regarding any implants and tattoo to be far from any danger. Magnetic resonance imaging abbreviated as MRI is a non-invasive imaging procedure that practices a mixture of a large magnet, radio frequencies, along with the computer to produce images of internal structures and organs of the body without practicing x-ray radiation and surgery. An MRI Miami machine is a large tube-shaped machine executing through the magnet from front to end. The magnet develops a strong magnetic field encircling the patient and passes pulses of radio waves from the scanner. These waves push the nuclei of hydrogen atoms out of their normal position. As the nuclei readjust into their normal position they send out radio waves on their own. The computers or the scanners detect these signals and examine and transform them into pictures with minute particulars of the part of the body being analyzed. MRI scans are now extensively used to analyze organs, identify tumors and in the diagnosis of many forms of cancer and wounds in bones and tissues. One of the predominant benefits of open MRI of south Miami over traditional MRIs deceits in its sleek and compact design which has made it more spacious and less restraining. This new diagnostic equipment is tremendously beneficial to patients who may be large in size and those who are claustrophobic. Not only does it offers a more comfortable environment for patients but also makes it relaxed and convenient for them to undertake the scan. Though both types of MRI scan Miami operate along the same lines, the open MRI device is more influential than its predecessor. Its boosted imaging technology renders hi-definition pictures in 3-D cross-section that can help a physician to regulate the medical condition troubling the patient. They produce a lesser degree of noise in the form of knocking or thumping and patients usually don’t necessitate earplugs. In most cases patients don’t need to administer a contrast agent; this is particularly true in the case of a liver scan. Children who may have anxiety in undertaking the scan can have their parent or guardian alongside them. The benefits of open MRI over traditional MRIs are unrivaled, particularly when it comes to the patient’s safety and ease. The parameters of the sophisticated device can be altered for a detailed view of the area which necessitates scanning. Physicians suggest open MRI owing to its high correctness which assists in early detection of serious circumstances such as cancer and tumors. For any individual their health should be the first preference, keeping the rest aside. This suggests taking healthy diet, regular exercise, and acquiring sufficient sleep each night. Conversely, sometimes even pursuing these three things is not adequate, which is why a person should visit the doctor at least once a year. A preventative scan, like an MRI scan Miami, might be practiced in order to regulate whether or not a person has a medical situation. Short for Magnetic Resonance Imaging, this scan is a way to check the body for several irregularities without using dyes or the harmful radiation that usually x rays use. An MRI scan practices computer technology as well as radio waves to scan the body and generate pictures. These pictures are deemed to be very detailed, which of course assists the technician along with the doctor to regulate irregularities that persist. Who Should Avoid An MRI Scan? As advanced as an MRI Miami scan is in respect to the technology that it practices, it is very vital to note that there are some kinds of people who should not undergo this scan. For example, people with pacemakers should avert this scan because the magnetic field that the scan builds can cause the pacemaker to malfunction. Also, this scan should be averted by people who have several kinds of implants, particularly ones that contain metal, for the same cause. How Can The Scan Be Effective? In order to effectively prepare for this process, the patient will require arriving at the facility wearing apparel that is totally metal free. This also is accurate for any accessories that a person might be wearing that have metal in them, for example hearing aids or glasses. All of these things will have to be detached prior to the scan. That is basically the only thing that a person has to do in order to efficiently prepare for the MRI Miami beach scan since for this process there are not any food limitations. However, the person will be exposed to the magnetic field in just the same way as the patient, so it is very vital that the person also avert wearing anything with metal. They should also be free of any other circumstances that might prove damaging to them if they come in contact with the magnetic field. These are some aspects associated with MRI scans and the reasons why your physician suggests the same. MRI (Magnetic Resonance Imaging) Scan is an examination that is carried out to take the detailed pictures of the inside organs of the body through strong magnetic and radio waves. It is generally used to diagnose the underlying cause of some symptoms happening in your body. Usually, the area of chest, abdomen or pelvis is scanned during an MRI scan Miami. Pregnant women may also undergo this scan for safely monitoring the baby. MRI Scanning is performed to examine the organs of the abdomen and the chest which includes heart, liver, spleen, kidneys, pancreas, and adrenal glands. The pelvic organs are also monitored such as bladders, uterus, and ovaries in females and prostate glands in the males. Blood vessels and lymph nodes are also evaluated including the MR angiography. The physicians usually conduct the MRI scanning to diagnose the tumors of the chest, abdomen or pelvis, the diseases of the liver and abnormalities in the pancreas or bile ducts. In case you are going through inflammatory bowel disease like Crohn’s disease or ulcers in the stomach or colon, facing heart problems etc. you must go through an MRI Scan that might be an answer to all your problems. There are various MRI centers in Miami where they use highly sophisticated equipment installed with the latest technology and machines. What are the pros and cons of a MRI scan? • From years, MRI is known to diagnose a wide range of conditions such as cancer, heart disease, abnormalities in muscles and bones. • MRI is a technique that does not harm you as they do not use ionizing radiation. • MRI allows the discovery of the diseases that might be hindered by bones or other scanning methods. • In case sedation is used during an MRI, it might be risky for you. But the nurse will supervise your vital signs to reduce the risk. • If contrast intravenous is given, the physician recommends the women that they should not breastfeed the babies for 24 to 48 hours otherwise it will be harmful to the baby as well as the mother. 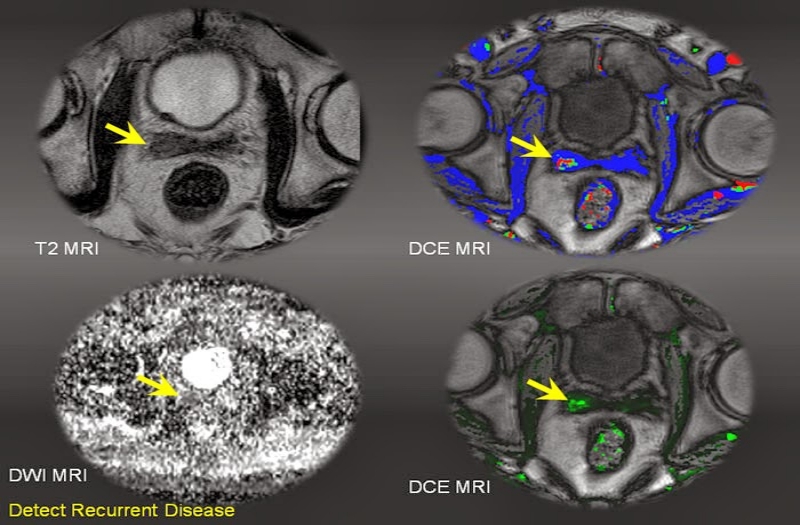 MRI Miami provides high-quality images with proper diagnoses report. You must make yourself perfectly still and follow the instructions given by the nurse while the images are being recorded. Although there is no case that MRI harms the fetus the pregnant women are advised not go through it unless medically prescribed. You may be advised by a physician to undergo an MRI scan, which is the procedure that helps in identifying the real cause of any discomfort or illness. If you are not aware of this procedure, you need to precisely go through this post. An MRI scan is a medical imaging procedure that captures high-quality images of internal organs that helps in analyzing any ailment that requires adequate treatment. You can get an MRI scan done at any of the center for diagnostic imaging Miami service provider that has a good expertise in delivering the finest services. It is always recommended to seek professional help from the ones that are already serving the patients with top-notch diagnostic services. Here we would be explaining some common aspects related to MRI Miami scan that you should always keep in mind while you are going for the procedure. You need to focus on the fact that some rare MRI scanning procedures may require adequate medication on a day before the procedure. Hence, it is mandatory for you to consult your physician regarding any medication that you are already taking. This would help your doctor analyze your medication requirements and would certainly alter the same. Apart from this, you need to mention the allergic reactions (if any) that you face due to some medications. This would certainly help your physician in prescribing the right medication that you need to take on the day of the scan. If you are advised to get an open MRI Miami scan for your stomach, you have to emphasize on your diet. Though your doctor would recommend a diet plan that you should follow, some aspects need to be considered from your end. It is mandatory for you to ensure that you take only liquid foodstuff that helps in clearing the stomach and augments the overall imaging procedure. Sometimes a little negligence in your diet could cause certain glitches in the overall imaging procedure, which is the reason you need to emphasize more on your diet. The MRI procedure may require a precise position while the scan takes place. Moreover, the radiologist may ask you to loosen your clothes while the procedure is started. Thus; you should wear comfortable clothes.